From 1995 to 2006, Substance brought a raucous mix of international talent, world class DJs and live improvisation to venues in the UK’s second city, Birmingham, and later London. 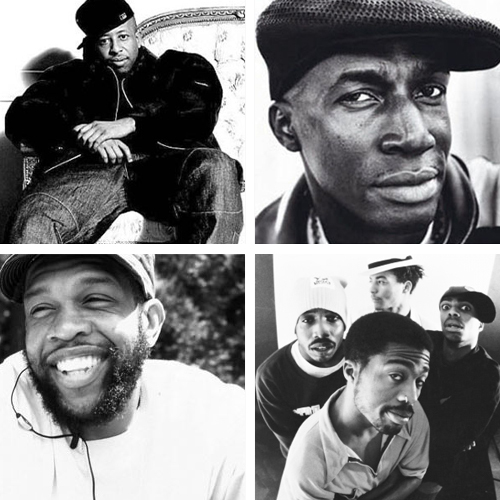 During those years the Substance stage played host to the likes of Grand Master Flash, DJ Premier, KRS One, Masta Ace, Jeru the Damaja, Souls of Mischief, The Pharcyde, DJ Cash Money, Maseo of De La Soul, TY, Roots Manuva, Blak Twang, Soweto Kinch, Waajeed and many others, attracting crowds of up to 1700 to witness the night’s trademark mix of renowned guests and live talent. In its eleven year history, Substance gained critical acclaim as a forward thinking club night, its funk and soul influenced house band, master of ceremonies Mad Flow (Big Dada) and resident DJs Chris Read and Roc-1 all contributing to the night’s sound. Aside from guest performances, Substance frequently involved itself in the music it promoted on a wider level. Associated projects with which the night has been involved include live broadcasts on BBC Radio 1 & Radio 1Xtra, the ground breaking ‘Graffiti Bastards‘ exhibitions (among the first in the country to showcase artists including Chu, Banksy, Req and others), the UK DMC Championships, the official 8 Mile open mic contest, the UK launch for Doug Pray’s Scratch the Movie and a label project for leftfield independent, Different Drummer. Whilst the typical life cycle of a club night is to keep going until the people stop coming, Substance had the rare good fortune to go out on a high. The night’s 10th anniversary was one of the club’s biggest events and with just under 11 years of largely successful promoting under the belt, calling time instinctively seemed like the right thing to do. Since that time, this site (originally set up to provide info on the night’s events) has served as a platform for Chris’s current / ongoing musical projects. These are the best tripod head for landscape for general. . Viking appliance repair www.yelp.com.